Jon Danzig's World: Hypnosis and past lives: fact or fantasy? Hypnosis and past lives: fact or fantasy? 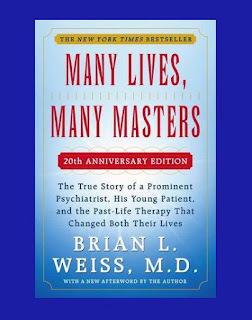 Dr Brian Weiss is an American psychiatrist and ‘scientist’ whose best-selling book, “Many Lives, Many Masters”, claims to provide evidence for reincarnation by hypnotising one of his patients to past lives. His book has sold over 1.5 million copies with Amazon reviewers mostly giving ratings of 4 or 5 stars out of 5. I give the book zero stars. I believe it’s complete quackery, pretending to be a work of scientific discovery when it’s nothing of the sort. The book gives doctors, and science, a bad name. I've now published my critical reviews (click the links).